New chapter! New characters! Three page (plus a cover) update! 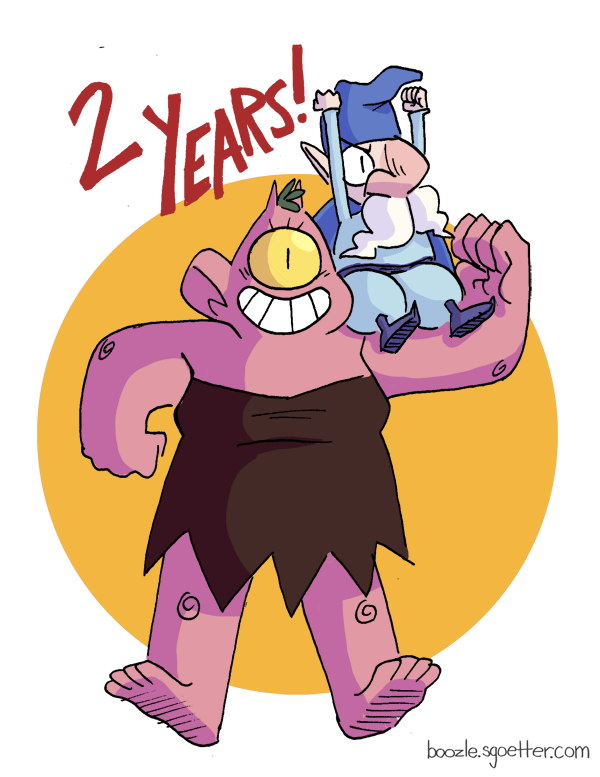 Things are all kinds of crazy today because today (March 27th) is Boozle’s 2nd comic anniversary!! Two years!! Which means I got another important announcement: I removed both parts of the prologue from the site. Now I’m not dumb. I know it’s been on the site for two years now. I know you know the prologue. I know you know that I know that you know. 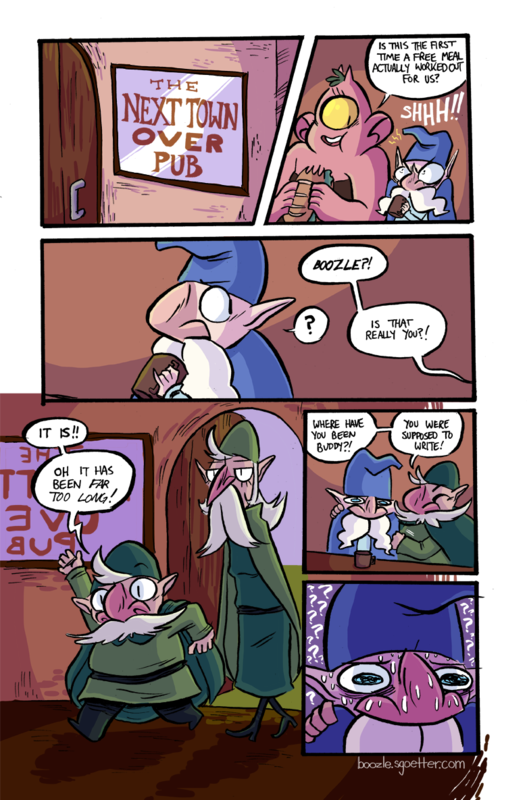 But for the sake of the flow of the story and for newer readers I’ll have down the line I think it’s better this way. I hope you understand as the story develops! And I also recommend that everyone reads through Chapters 1+2 again, as I’ve made some changes to make up for the lack of prologue. And I hope you keep reading to see where I’m going with this weird crazy story!